Gosh! 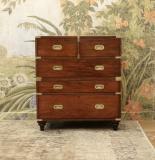 Everybody just loves the look and feel of this military chest. 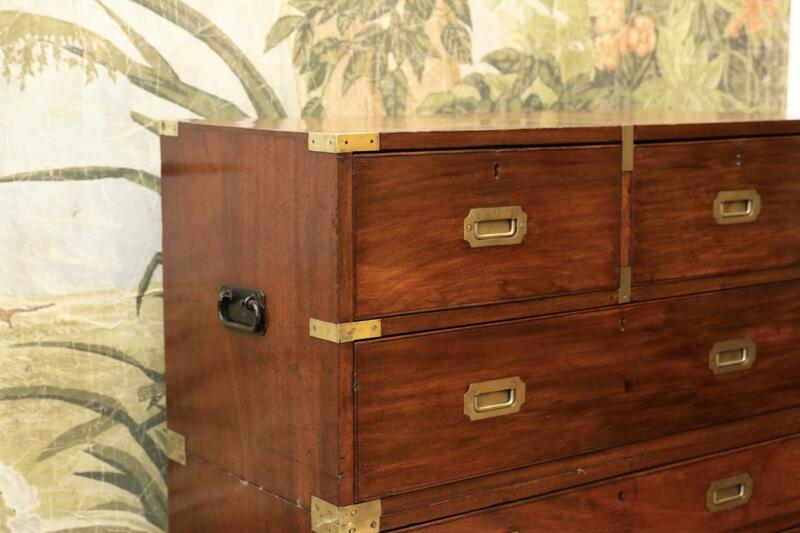 So beautifully proportioned with its nongraduating drawers. 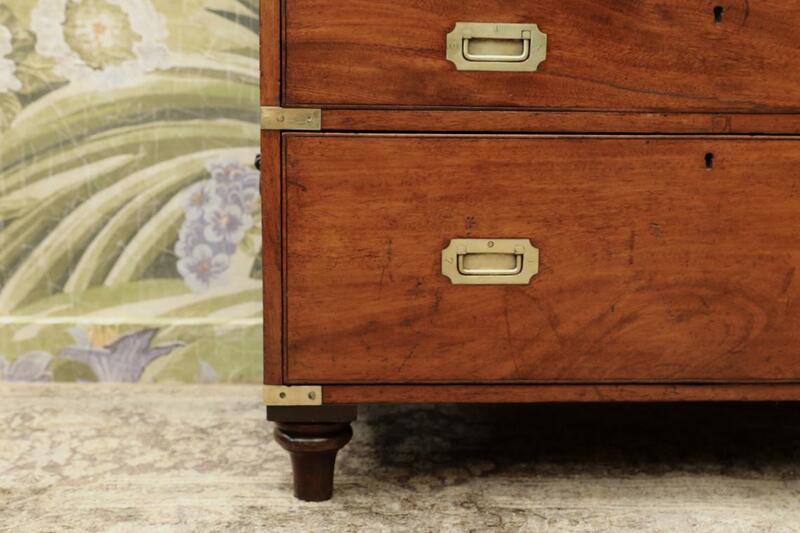 The third drawer is narrow, like a map drawer. 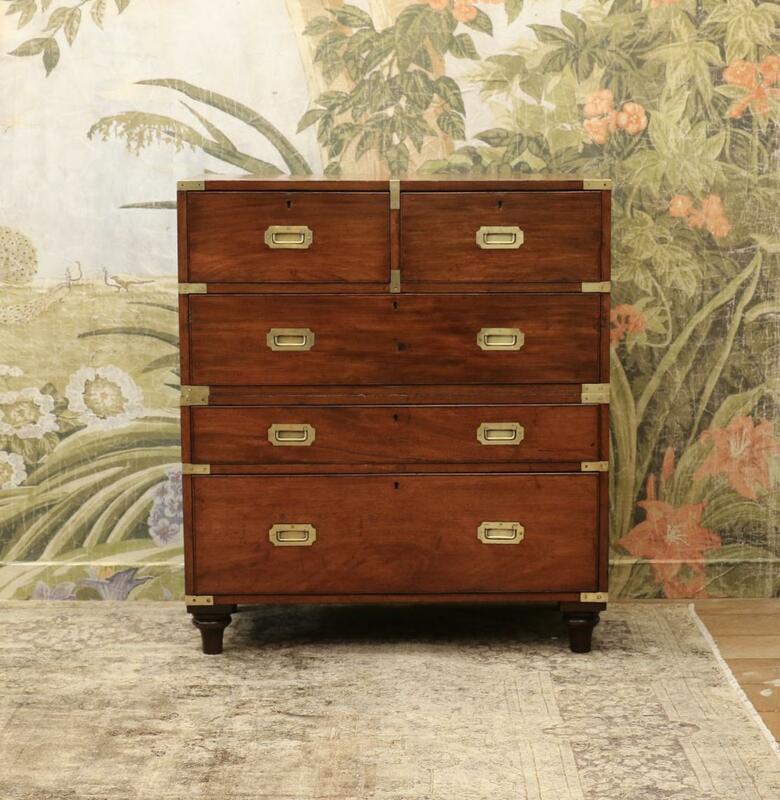 When you need to make a quick exit for life's next battle, the top half of these drawers, with the aid of cast iron lifting handles, lifts off. Original turned feet and brass binding make this a robust piece for whatever campaign you have to endure. If you are interested in this piece or would like more details please call us on +64 9 529 1660 or email info@js.co.nz quoting #110-87.